Lesson learned: no more boots at boot camp. 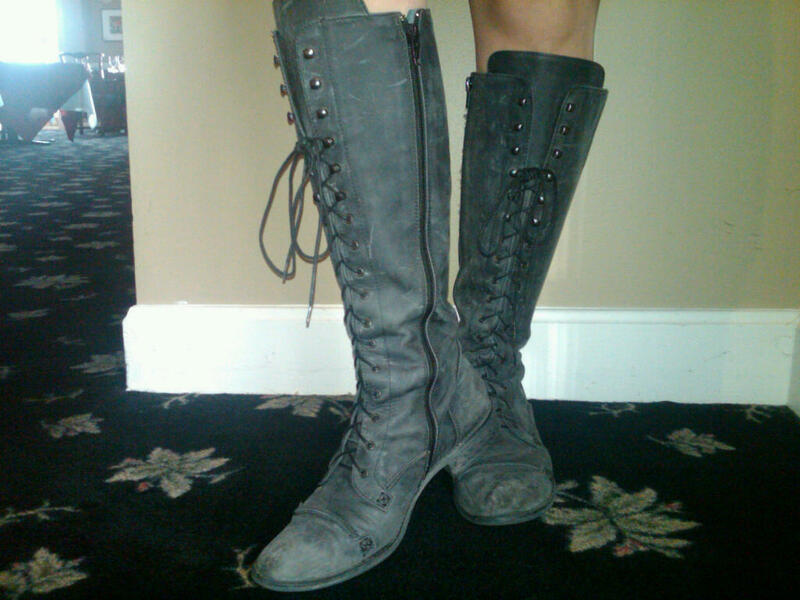 The boots that launched a blog post. In a split second, I realized that there would be no graceful resolution to this situation. They were hooked tightly, and jiggling them unobtrusively only seemed to make it worse. So, there was nothing for it but to confess to the group, bend dramatically from the waist (thank you, Miss Marianne, for the years of dance training in my youth), and perform the intricate surgery required. Guys, can you believe this? My boots just got hooked together and y’all need to give me a minute to get untangled. Note to self: no more boots at boot camp. Here’s what I learned from this hilarious situation. 1 – If you want to hear God laugh…make a plan. I had this day orchestrated down to the most well-thought-out detail. Boots hooking together did not even make the list of “things to prevent from going wrong.” So, just be ready to take things as they come. And you know what? Damn. She was right. Why didn’t I think of that? Note to self: wear boots at next boot camp.